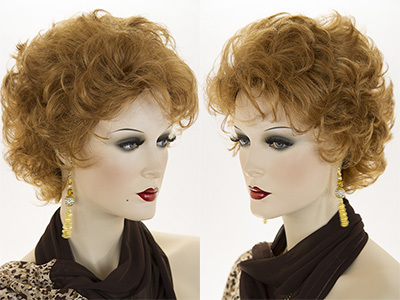 Fun spiral curls claw clip which is 18 inches in length. See item details for available colors. Striking and arty! 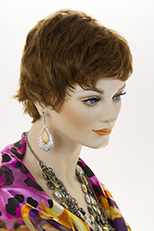 Short gelled look pixie cut! See item details for available colors. 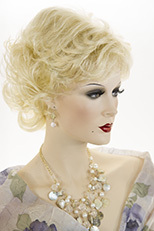 Classic glamour with this beautiful wavy hair piece, which is easily attached with a claw clip. 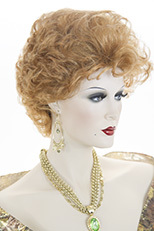 The length of the hair is 14 inches and includes a drawstring. See item details for available colors. Youthful and feminine! 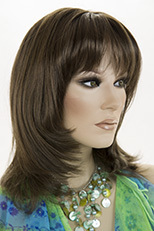 This carefree, slightly gelled look hair style has long side swept bangs and layers, which flip up gently on the ends. See item details for available colors. 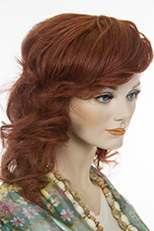 Add a little glamour with this lovely wavy hair piece which is 15 inches in length. Easily attached with a claw clip. See item details for available colors.